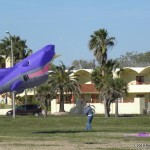 “If you don’t like the weather in South Texas just wait a few hours! 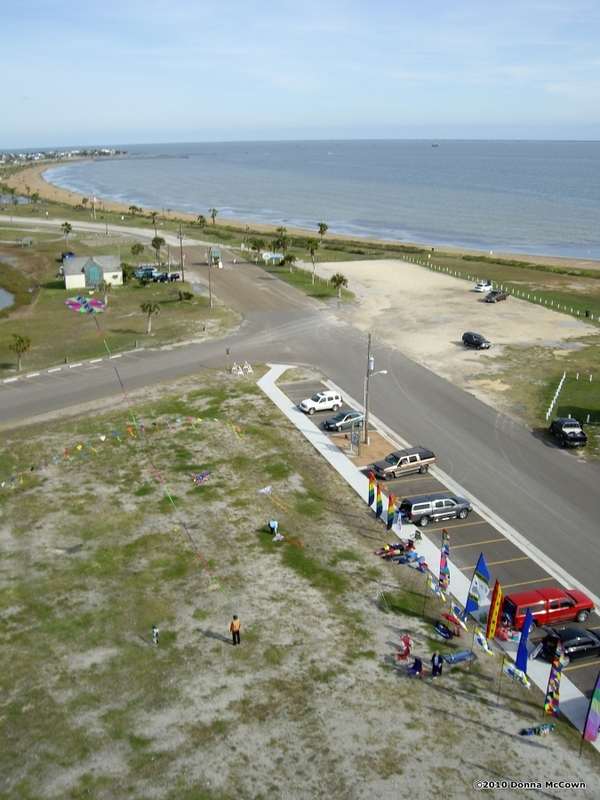 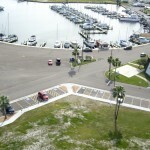 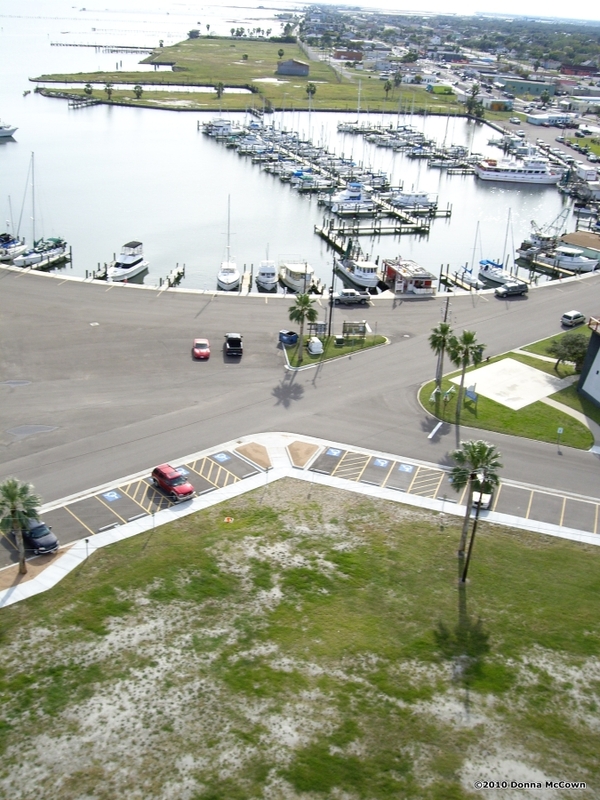 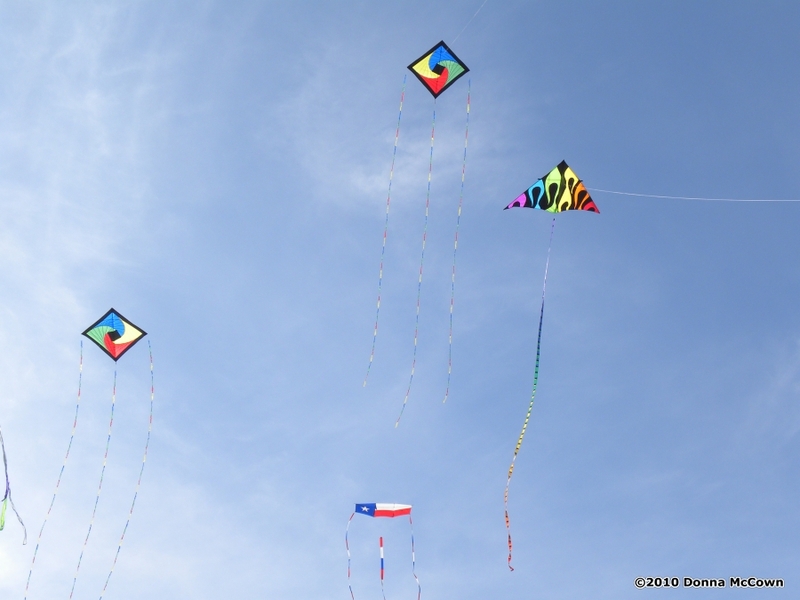 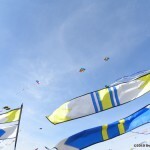 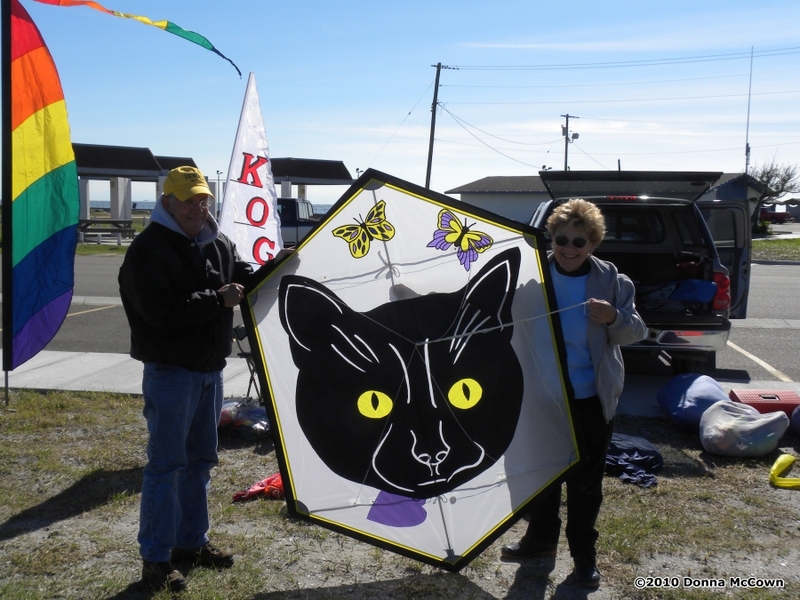 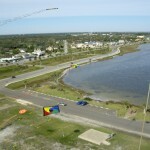 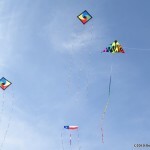 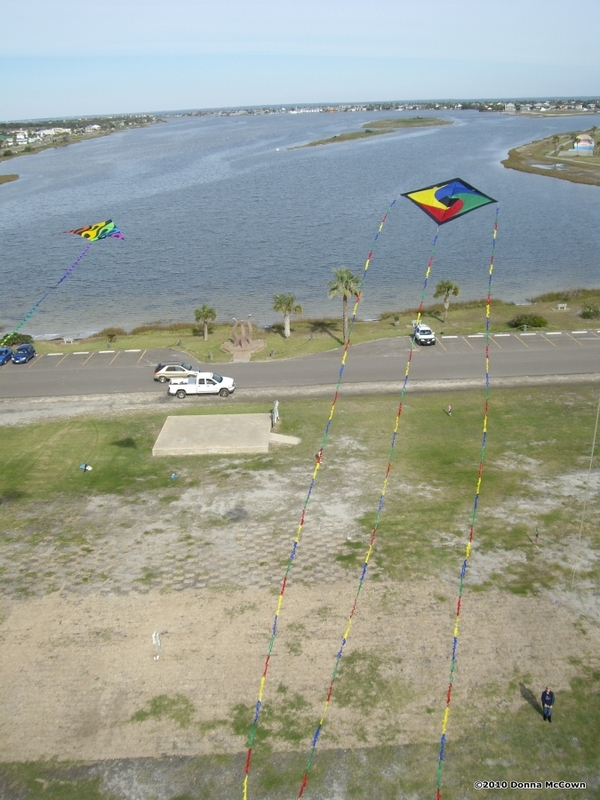 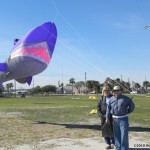 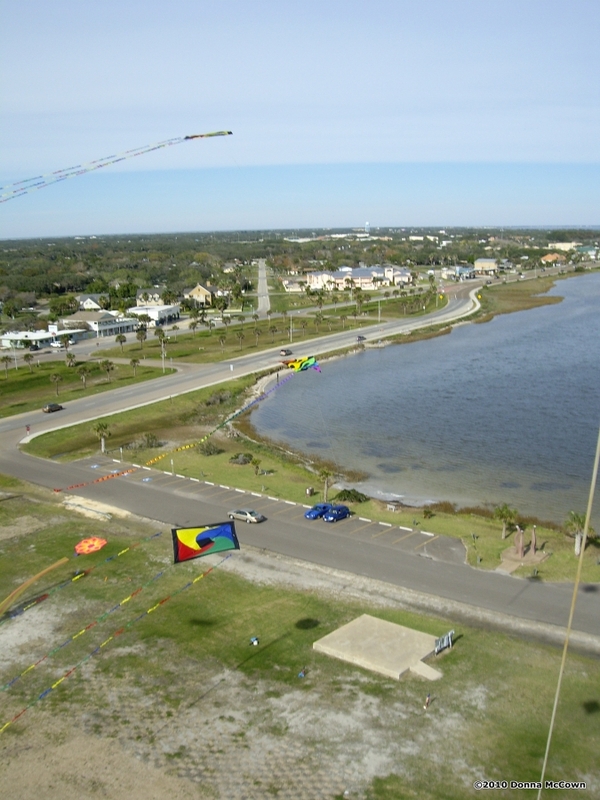 !” So often that statement is quoted in jest, but never has it been so true as on Friday December 4th as kite fliers are traveling to Rockport, Texas to attend the fun fly. 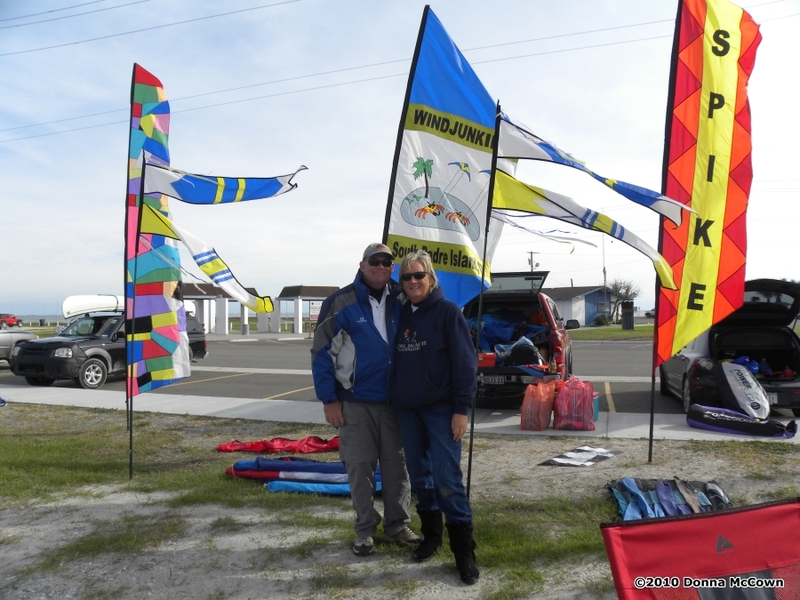 John and Laura stopped along the “trail” to make and throw some snowballs; it snowed most of the day in Rockport and all points north; only stopping and clearing the skies to bright sun late in the afternoon. 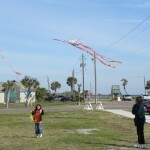 The crew all gathered at the Sugar Shack in downtown Fulton and warmed up with Donna T’s hot chili and Dano’s chips with con queso to go along with their favorite libations. 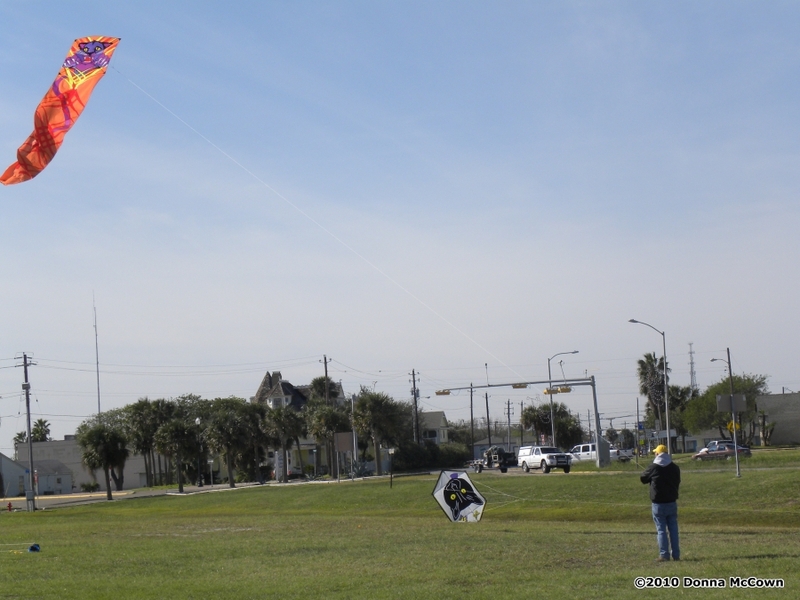 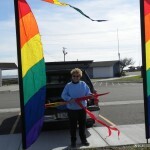 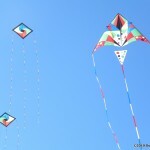 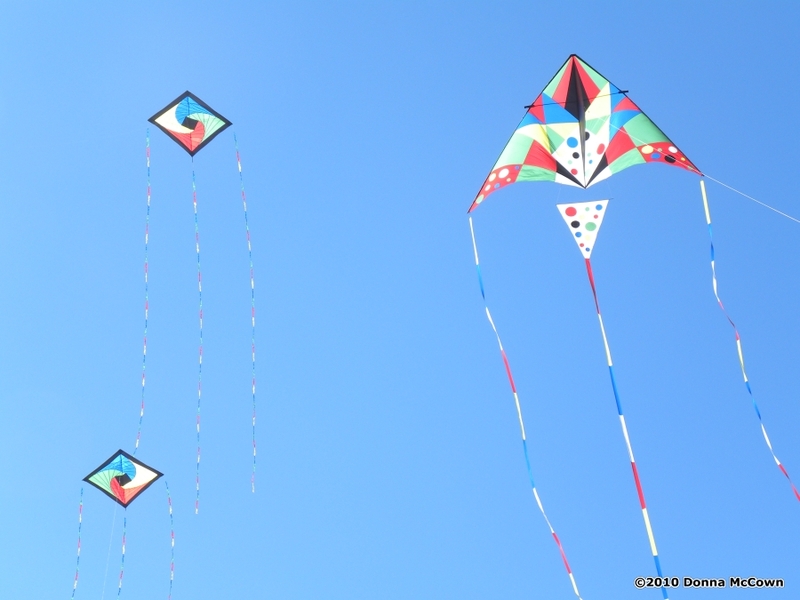 Saturday morning dawned clear and in the thirties, very cold by Coastal Bend standards, but there was a small breeze and soon the field was festooned with feathers and kites were going up. 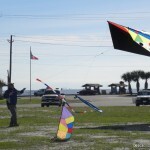 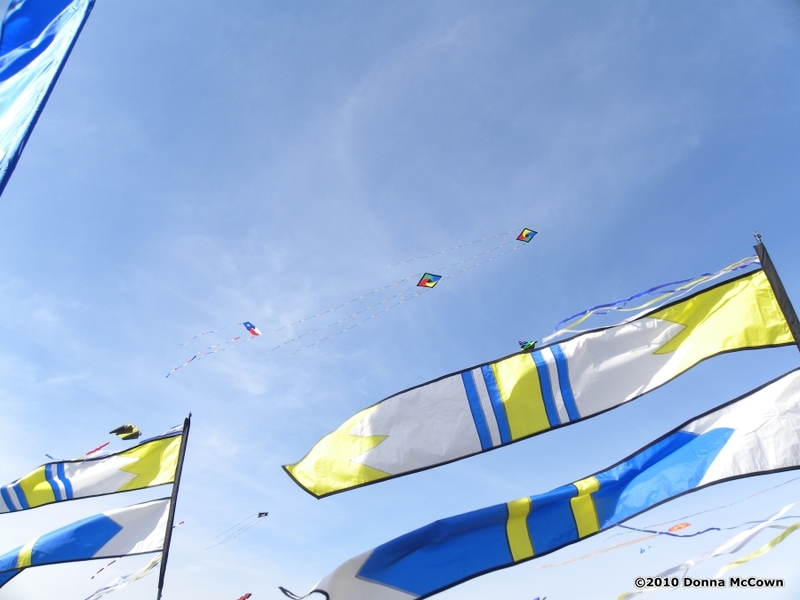 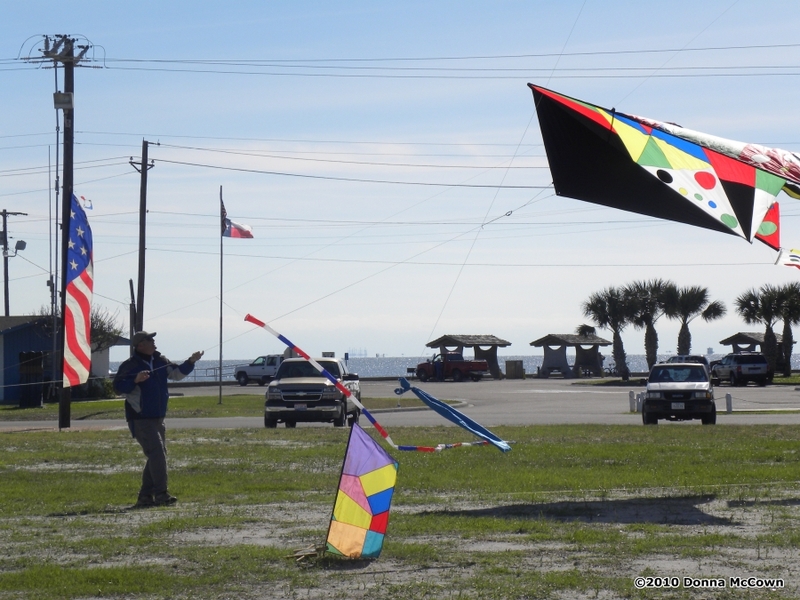 The winds were light and intermittent with short periods of near dead calm so it kept the kite fliers busy re-launching and changing out kites throughout the entire day. 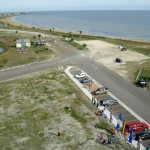 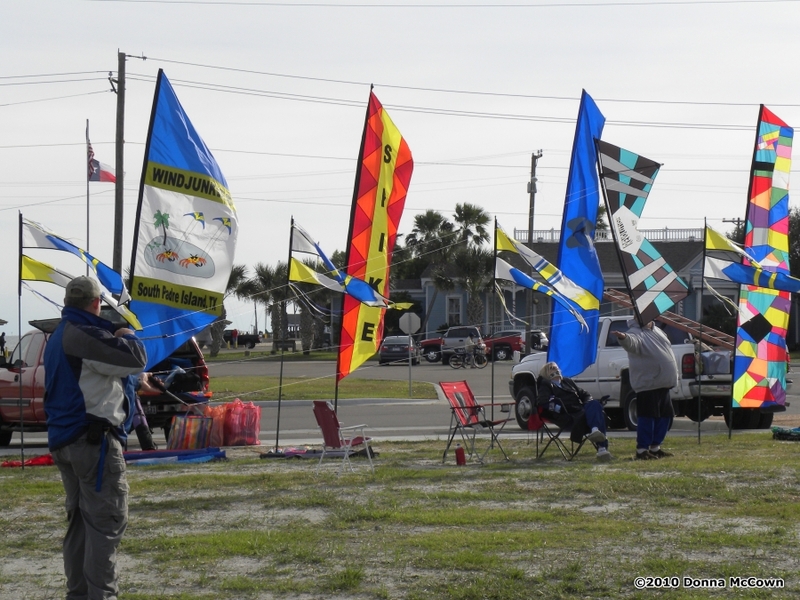 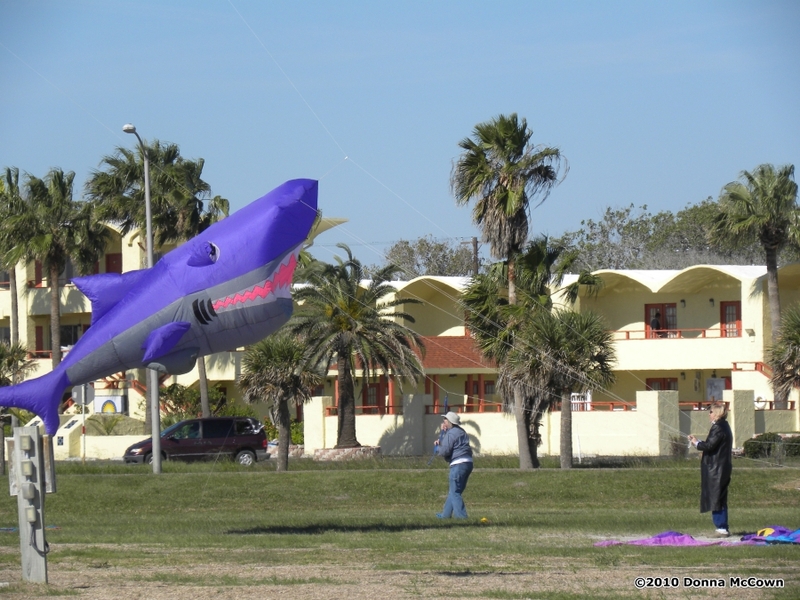 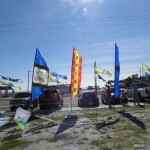 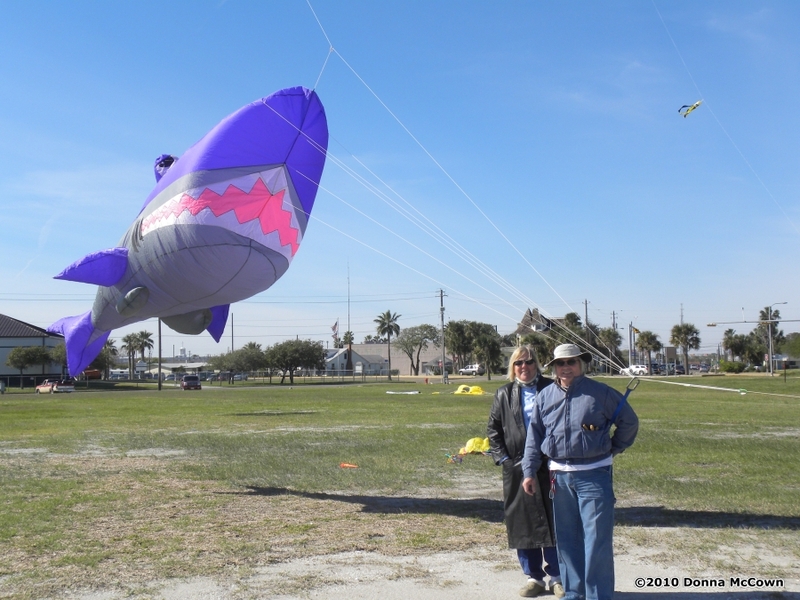 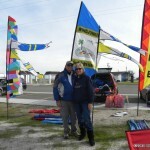 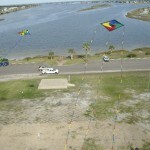 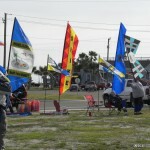 Texas kite clubs represented were: SHARKS from Houston area, SPIKE from South Padre, and Coastal Bend Skypirates as the hosts. 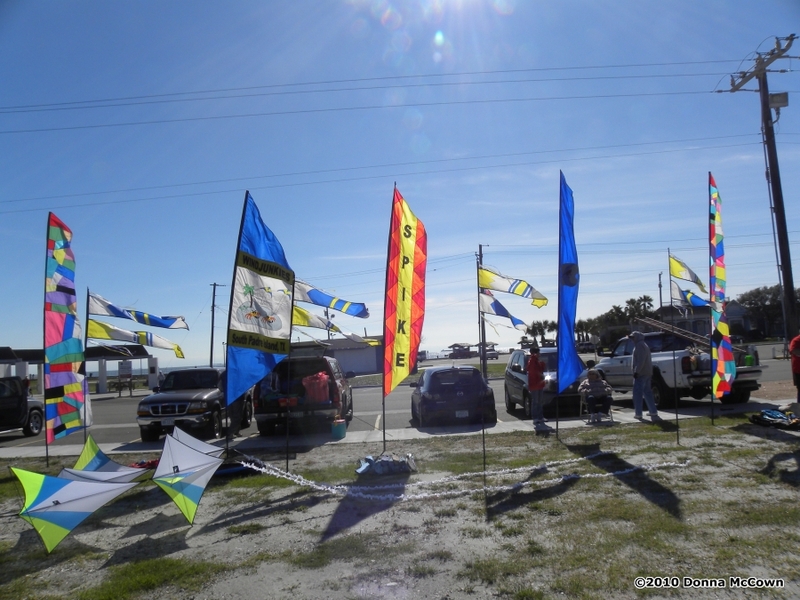 The wintery weather on travel day and unfortunate illnesses etc prevented the members of the Cloud Chasers and TAKO clubs who had made plans to participate. 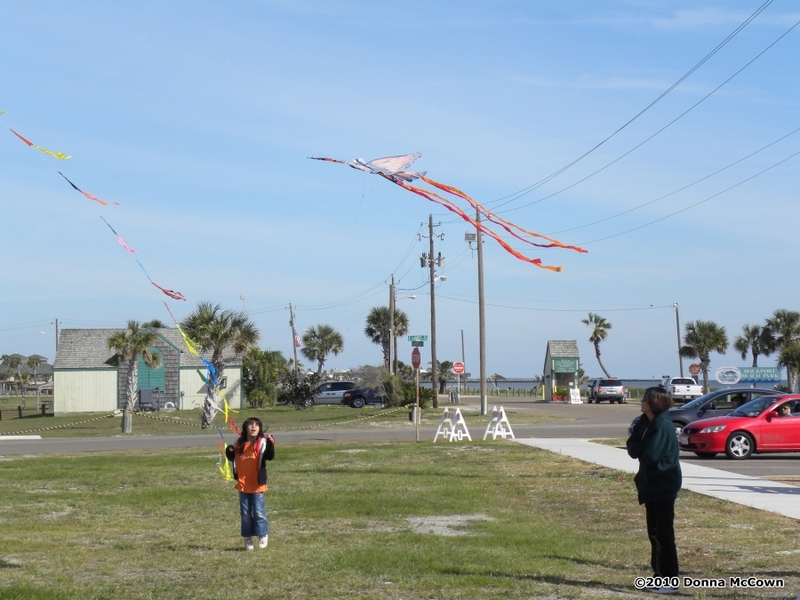 Following a full day of “chasing kites” the group retired to the local Chinese buffet for a warm pot of tea and loads of fresh seafood and oriental delicacies. 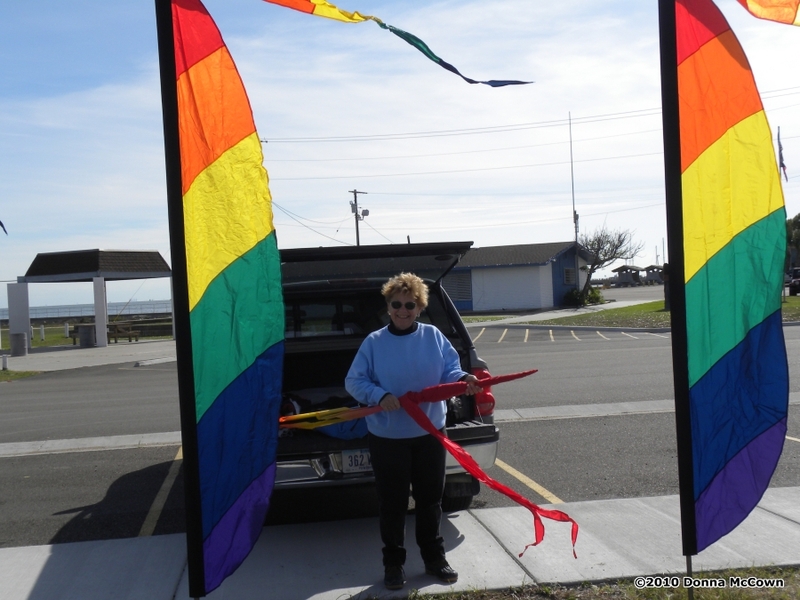 The lighted boat parade was missed as we chatted after dinner, but we hustled back to the park area for the lighting of the community Christmas tree and huddled together like penguins waiting for the lighted float parade in the park. 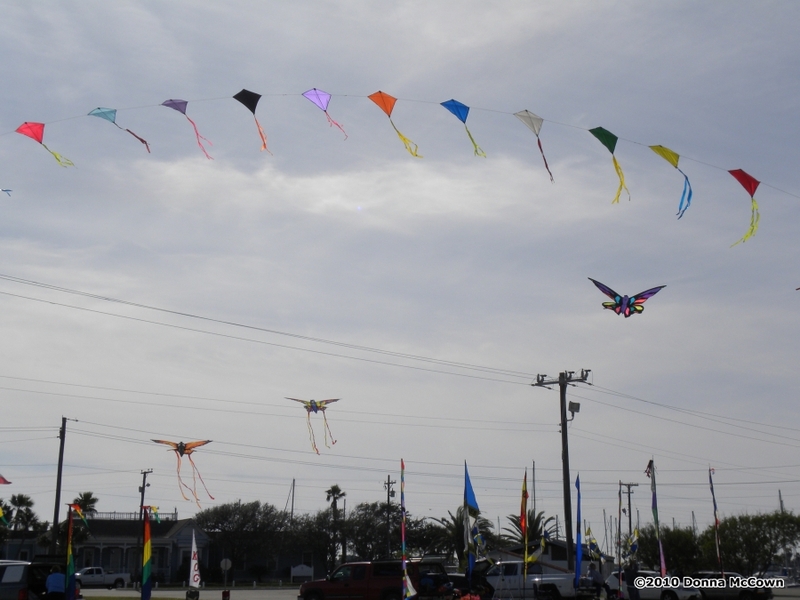 Lots of very interesting concepts for Tropical Christmas theme for the parade, some ingenious lighting schemes were presented by community businesses and organizations. 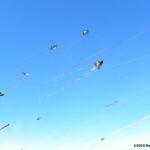 The parade was followed by a fireworks display that would equal many of the shows done on July 4th!! 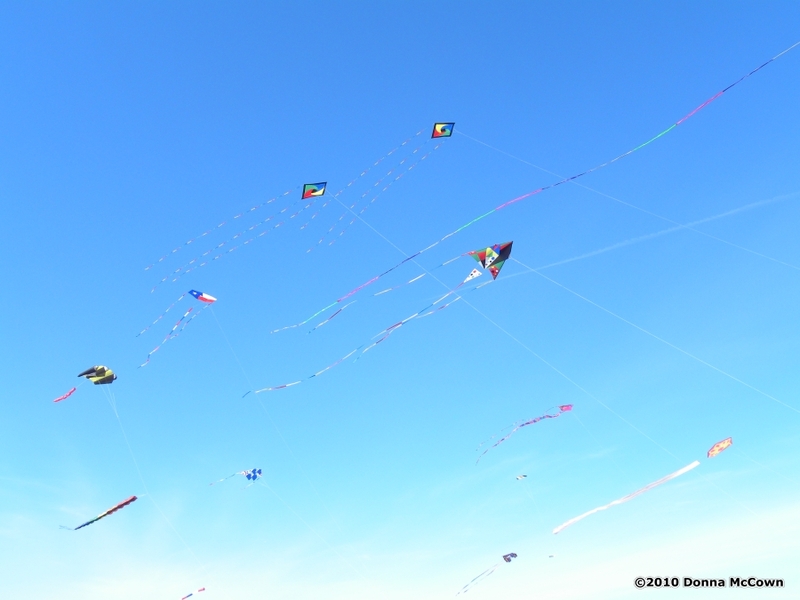 WOW what a day! 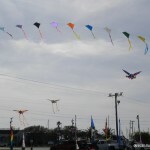 All in all it was a very good “grand opening” of the Christmas season, the City was appreciative of the “sky candy” and invited us to return again next year. 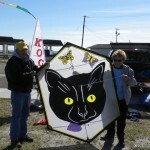 This entry was posted in 2010, Issue 70 (Jan/Feb), KL Archive and tagged clubs, texas.